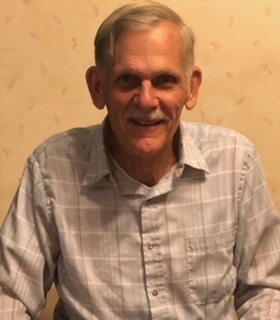 Walt Bryan, Jr., 71, of Jacksonville, went to his Home in Heaven on April 7, 2019. He was born in Jacksonville and lived there his entire life. He was the founder and former owner of Walt's Auto Parts in Jacksonville, owner of Walt's Wrecker Service and Walt's Live Oak Ford. Mr. Bryan was a member of West Jacksonville Baptist Church. Survivors include his wife of 29 years, Liz Bryan; daughter, Susie Bryan; son, Walter Bryan III; sister, Kitty McCostlin; several nieces, nephews, cousins, other family and friends. He was also survived by his dogs, Bailey and Bowden. Funeral services will be held at 11 AM Friday, April 12, 2019 at West Jacksonville Baptist Church, 5634 Normandy Blvd., Jacksonville with Pastor Rodney Kelley officiating. Interment will follow in Gethsemane Memorial Gardens. The family will receive friends at the church on Thursday, April 11, 2019 from 6-8 PM. For those who prefer, donations may be made to Trinity Rescue Mission. Arrangements by Giddens-Reed Funeral Home, Baldwin, 904-266-2337 (www.giddensreedfh.com).